For new members of the smartphone world, not just the Windows Phone, it can be very challenging to figure out what to do and how to do it. Nokia has now launched their Smart Setup service in the United Kingdom to help new customers with their Lumia Windows Phones. Through the Smart Setup service, Nokia promises users will receive expert advice on how to use their Lumia Windows Phone, how to get the best out of it, and even how to back up media. The service is absolutely free, you can get started by setting up an appointment on the Smart Setup website. Once you have set up your appointment, a Nokia Customer Care member will contact you at the time and date you designated, and you will become masterful from then on with your new Nokia Lumia Windows Phone. We have the full statement below from the Nokia Conversations blog. People who have bought a newNokia Lumia device will get expert assistance to help them get to grips with the Windows Phone operating system and how they can make the most of its great features. To take advantage of this, you just need to visit the Smart Setup website, book a time slot that suits you best and then someone from the Nokia Customer Care team will then call you back at the appointed time. As well as being completely free, Smart Setup offers a personalised service to suit your needs and in the specific areas required. The Nokia experts will help people with everything from backing up your important photos and files with SkyDrive, how to meet up with friends using Nokia Maps or connecting your Nokia Lumia with accessories such as wireless headphones or car kits. Matt Channing is head of Nokia UK’s Customer Care, and he says that Smart Setup is aimed at new, and even experienced, smartphone users who want to learn tips and tricks and little nuances that will help them to get the most of their Lumia device. Why the need for the service at all? 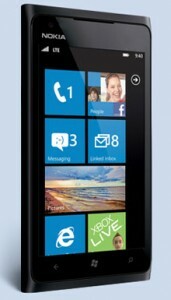 “Windows Phone is an intuitive operating system but it is a new one,” says Matt. Education and information is a big part of Smart Setup too. The Smart Setup service was first rolled out in the USA a couple of months ago, where it has been well-received and there have been some positive knock-on effects, says Matt. It seems that Smart Setup has gone down well in the US. How well prepared is Matt’s team in the UK? “We have provided extensive training for our team. We have done numerous test calls of our own from simply playing dumb to a real ‘I’ve never used a phone before’ through to the more complex set up and functionality questions. So book that appointment. Matt and his team are waiting to help you.